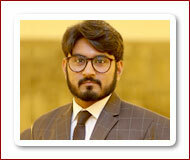 Mr. Sohail Ahmad is Lecturer in the Department of Poultry Production, Faculty of Animal Production and Technology, University of Veterinary and Animal Sciences, Lahore–Pakistan since May 13, 2015. Currently he is Ph.D. Scholar in Department of Poultry Production. He has completed his BS (Hons.) Poultry Science in 2012 from Department of Poultry Production, University of Veterinary and Animal Science, Lahore. He has 1 year of working experience as Teaching Assistant in the same department. He has also worked as Research Associate in the project “Development of Meat Type Japanese quail Acclimatize to Indigenous Managemental Conditions through Six Generations of Selective Breeding Program” at Avian Research and Training and Centre for 2 years. Mr. Sohail Ahmad has received his Master degree in 2014 from department of Poultry Production, University of Veterinary and Animal Sciences, Lahore. In his M. Phil research, he has worked on quail breeding and genetics. The main aim of his research was to investigate the effect of selection for higher 4 week body weight in four closebred stocks and 3 age groups of Japanese quail in 4th generation. M. Usman. Subsequent effect of lysine regimens on egg characteristics of native Aseel chicken. Revista Brasileira de Ciencia Avicola. 20(4): 789-796. T. Batool, S. Farooq, N. Roohi, A. Mahmud, M. Usman, A. Ghayas, S. Ahmad. Effect of different dietary lysine regimens on meat quality attributes in varieties of indigenous Aseel chicken. Kafkas Universitesi Veteriner Fakultesi Dergisi. 24(5): 639-645.
carcass traits in Japanese quail. Revista Brasileira de Ciencia Avicola 20(3): 497-506. S. Ahmad, A. Khalique, T.N. Pasha, S. Mehmood, S. Ahmad, A.M. Khan, K. Hussain. S. Ahmad, A. Khalique, T.N. Pasha, S. Mehmood, K. Hussain, S. Ahmad, B. Rasheed, M.M. Awais, S.A. Bhatti. Chemical Composition and Bioactive Compounds of Breast Meat in Broiler. Kafkas Universitesi Veteriner Fakultesi Dergisi. 24(2): 195-202. M. Asif. Comparative production performance of four different naked neck chicken phenotypes in Pakistan. The Journal of Animal and Plant Sciences. 28(1): 33-37. M. Shafique. South African Journal of Animal Science. 47(6):864-874. M. Ishaq. Productive performance, egg quality and hatching traits of Japanese quail reared under different levels of glycerin. Poultry Science. 96(7):2226-2232.
organic and inorganic selenium supplement on growth performance of indigenous Aseel chickens. Indian Journal of Animal Research. 51(3): 478-488. Y. Abbas, A. W. Sahota, M. Akram, K. Javed, M. Younus, S. Mehmood, S. Ahmad, Ikerma and A. S. Jatoi. Effect of different dietary lysine regimens on the growth Performance and economic efficiency of Japanese quails. A. Mahmud, S. Mehmood, J. Hussain and S. Ahmad. Composting of poultry dead birds and litter. World's Poultry Science Journal. 71(04): 621-629. J. Hussain, M. Akram, A. W. Sahota, K. Javed, H. A. Ahmad, S. Mehmood, A. S. Jatoi and S. Ahmad. Selection for higher three week body weight in Japanese quail: 2. Estimation of genetic parameters. The Journal of Animal & Plant Sciences, 24(3): 869-873. Chickens Maintained in Pakistan. Pakistan J. Zool. 46(6): 1565-1571.
and A. S. Jatoi. Selection for higher three-week body weight in Japanese quail: 1. Effect on growth performance. supplementation on growth performance and body measurements in Japanese quail. Scientific Journal of Veterinary Advances. 2(1): 1-5. S. Ahmad, S. Mehmood, M. Rasul, A. Javid, A. Mahmud, J. Hussain, M. Usman, A. Rehman. 2017. Sensory Evaluation of Japanese quail meat affected by different anti-stressors. International Poultry Expo-2017, Poultry Science Association.